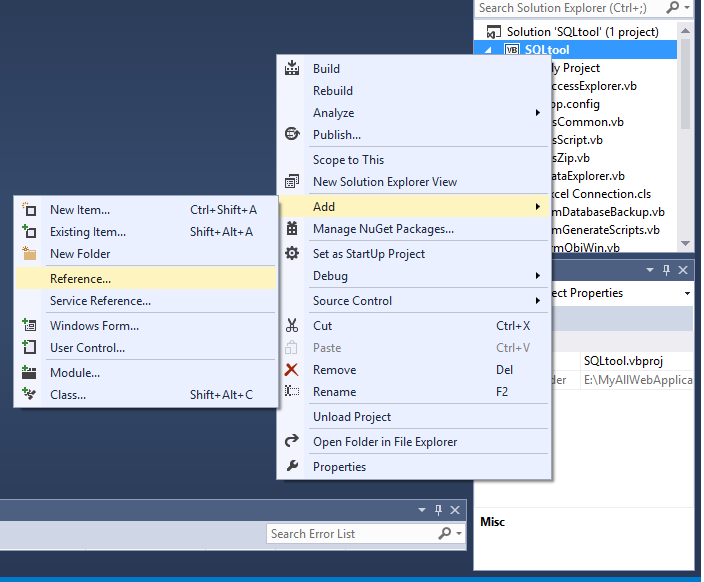 I am going to start series of articles which will guide you how to use SMO Object model in .net world and Let us end up with creating one successful tool like query analyzer of our own using SMO(SqlServer Management Object). What is SMO ? 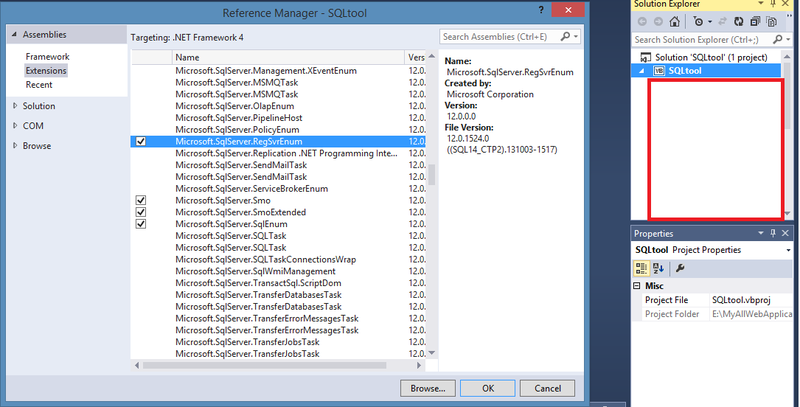 SMO(SqlServer Management Object) name itself indicated that Object model is responsible for managing Sql Server Programmatically like you can create Database Objects dynamically and perform lots common DBA tasks including Backups, Restores,Index Maintenance, Integrity checks and more..
Before we will discuss anything about SMO,let me clear you one thing ,When ever you are going to use SMO Object Model be sure your Program includes Reference to Microsoft.SqlServer.Management.Smo namespace. Actually there are two ways to do this. The first one is by using SQL-DMO (Distributed Management Objects) which is a set classic(old way) classes that were used to programmatically manipulate and interact with SQL Servers, usually it was used before .Net World. With time and arrival of great .NET CLR Platform, lots of new changes were made to SQL-DMO Object model, which was named as SMO[Server Management Objects]sure,name itself indicates object model is used to manipulate SqlServer programmatically .So we can say SQL Server Management objects (SMO) exposes the functionality of SQL Server database and replication management. SMO can be used to automate repetitive tasks or commonly performed administrative tasks. 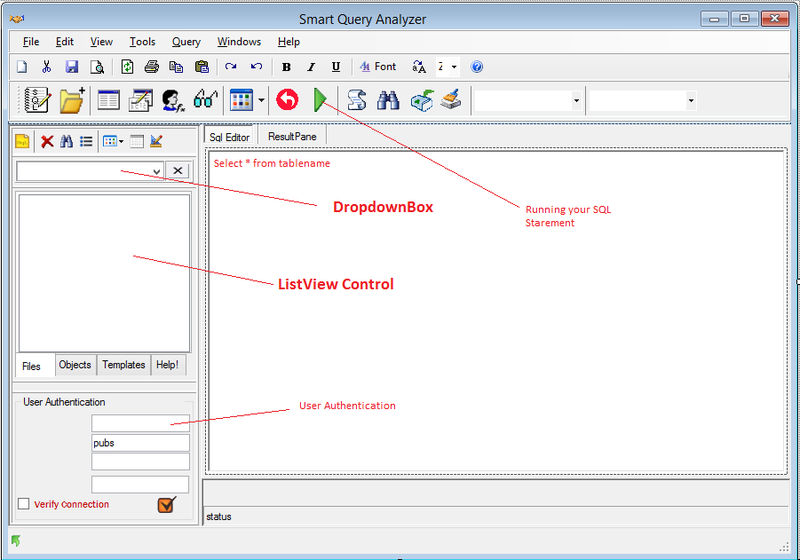 The SQL SMO is implemented as a .NET assembly and the model extends and replaces the SQL Server Distributed Management object (DMO) of the earlier versions. There are certain features that all Server Management objects share such as running methods, setting properties and manipulating collections. Specific tasks can be programmed using SMO objects. These include complex subjects that are required by programs with specialized functions such as backing up, monitoring statistics, replication, managing instance objects and setting configuration options. Once you are done with designing this UI , you can start writing down your code using SMO Object model with your language of choice . First we need to write code on Form load to establish connection with sql sever to perform operation on objects like database table view,procedure... - accessing databases is very simple. Most of the SMO objects are stored in a Parent/Child Collection ownership. //add the Data to the listview.